Traditionally, coffee and chocolate are not supposed to be too useful for our health. However, according to the study of the experts from the department of food science at Leeds University, it can be good to consume such products as chocolate, tea and coffee, along with certain fruit and veggies containing polyphenols, in order to preserve youth, avoid having serious diseases and live a long and healthy life. 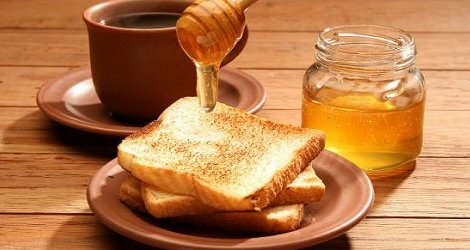 Gary Williamson, a leader of the research group, presented the list of 20 most useful foods, which are “…essential to fulfill the maximum individual lifespan“, he said. There is a hypothesis about negative impact of oxygen molecules on our body. Certainly, oxygen is essential for normal functioning of all body systems and organs, but as a result of certain chemical reactions in our body, the molecules of oxygen lose electrons and turn into free radicals. Such radicals are quite dangerous because they have a tend to attack other healthy cells of our tissues and obtain the electrons they need. 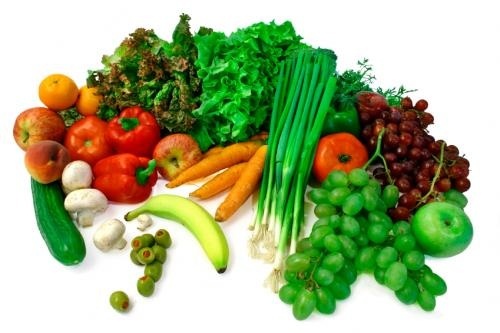 These process causes aging of the cells, and there is the only way to stop it is to consume more antioxidants, which can neutralize those free radicals. Coffee. 1-2 cups of coffee a day can provide your body with necessary amounts of antioxidants. In addition, coffee can assist in improving your memory, as well as help you refresh your mind and get focused on something. Finally, regular consumption of reasonable doses of this beverage contributes in normalization of the function of your digestive system, prevents developing stones in kidneys and can have positive effects on your blood pressure. Broccoli. It is an absolutely unique vegetable which is linked to a variety of health benefits. 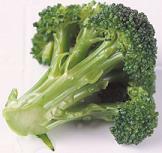 Annually, Americans consume approximately 75000 tones of broccoli. This plant has large amounts of Vitamin C and Vitamin E and is considered to be among the most effective natural remedies which can help you prevent the development of cancer, along with many other dangerous diseases. Also, it is a polyphenol-rich food. Cranberries. These berries have very high content of natural antioxidants, such as Vitamins A and C, selenium, ellagic acid and anthocyannis. 100% juice can be a perfect way to enrich your diet with antioxidants. Gary Williamson underlines that in order to achieve good effects, it is also possible to use other berries and fruit, such as cherries, oranges, apples, peaches, raspberries, strawberries and wild strawberries, and so on. Tea. Both green and black teas are very good sources of antioxidants. Usually, a high-quality tea contains over 300 useful chemical compounds, including tannin, proteins, amino acids, vitamins and so on. If used in moderate amounts, tea has numerous positive effects on your body: it strengthens the vessels, stimulates blood production, serves as a great source of fluoride and helps to strengthen your teeth enamel. Chocolate. Chocolate has unique nutritional qualities and can help you lower negative effects of stresses, stimulate your muscles and nervous systems, have positive effects on your blood pressure. Chocolate contains tannin, which stimulates detoxification and improves the function of your digestive system. Remember that tannin overdoses can trigger headache, that is why it is necessary to control your consumption of chocolate. Recently, our leading dietologists and nutrition specialists publicized a list of top 7 products, which can help modern men stay healthy for life, be active and always in a good physical shape. In some certain situations, when we need to do everything possible in order to mobilize our energy and get ready for some serious mental work, everyone has own trick to get focused and start producing bright ideas. Some of us use energy drinks, some prefer a cup of very strong tea or coffee, some start eating a lot of chocolate. Such “exercises for the brain” are usually harmful to our overall health and can lead to chronic insomnia, nervousness, fast heart rhythm and problems with blood pressure. Recently, our healthcare specialists created a list of natural products recommended for those who need to keep their brain in maximum tonus. Incorporate these foods into your daily diet and you will always be in a good shape for brainstorming and win glory for your remarkable creativity! Walnuts. You know that walnut halves even visually remind brain convolutions. 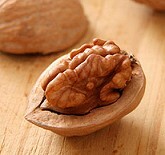 Walnuts contain lecithin, one of the most important components, which produces the neurotransmitter acetylcholine and fastens signal-transmission between brain cells. 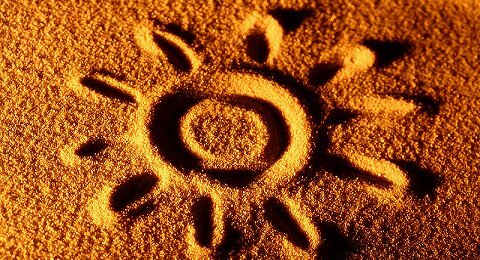 This way, lecithin can improve our brain power and memory, as well as slow down harmful processes in our brain connected with aging, and prevent Alzheimer’s disease. Eating 2-3 walnuts a day will be enough to stimulate our brain, but you must remember that this natural product has a lot of calories and must not be consumed in great amounts. Pumpkin Seeds. This product is a unique deposit of zinc, an important element, which is stored in our brain and needed for proper work of almost all our body systems. Zinc helps to improve our thinking skills and enhance our short-term memory, and a lack of zinc in our body usually brings to lower cognition and poor concentration abilities, especially in stressed conditions. Basically, even 100 gr of pumpkin seeds is enough to provide our body with necessary amounts of this element. Blueberry. These berries are considered the richest source of powerful antioxidants antocianines, which can protect our brain from age-related diseases. If you enrich your diet with this delicious natural product, you will certainly improve your short-term memory, coordination and navigation skills. Chemical compounds found in blueberries assist in supporting neurotransmission, improving elasticity of your blood vessels and normalizing your blood circulation. Spinach. This very useful green-leaved food is a prefect brain tonic, which can protect our brain from the effects of oxidative stresses, effectively “recharge” our memory and prevent all age-related problems with our memory and brain function. Spinach also contains such substance as lutein, a natural bioactive element, which protects our brain cells from premature aging and death. The specialists recommend everyone to eat Spinach (especially Spinach Omelet) minimum three times a week in order to keep our brain and cognitive functions in a good shape. Blackcurrant. First of all, this natural product is a great source of Vitamin C, which is responsible for antioxidant protection and helps our brain work good. Besides, many studies (in particular, the researches of the Horticulture and Food Research Institute of New Zealand) showed that black currants can successfully prevent Alzheimer’s disease, caused by protein deposits in the brain. Black currants contain antioxidants, antocianines and polyphenols. These substances support our body by lowering the amounts of free radicals, help to prevent age-related problems in our brain and avoid Alzheimer’s disease. Fish (salmon, trout, sardine, etc.). 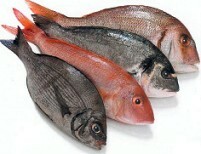 Fish is another important natural product, which can substantially decrease the risks of having Alzheimer’s disease. Fish is the source of omega-3 fatty acid, an important chemical component of our brain cells that contributes greatly to reducing brain inflammation, regulates cholesterol balance in our blood, assists in improving blood flow to the brain and stimulating normal work of our arteries, etc. Experts argue that eating just 100 g of fish every day can substantially improve our mental reactions and cognition. Cacao products. Therapeutic properties of unprocessed cacao beans for human brain are known since the times of the Aztec Empire! However, a great deal of people are convinced that sweet products containing cacao (like chocolate) are useful for our brainwork. No way, this must not be an excuse for millions of chocolate lovers! Only the products with minimally processed cacao have positive effects on our brain. Cacao beans contain flavonoids, which seriously decrease the risks of having cardiovascular disease, improve blood flow to the brain and protect against oxidation. Experts suggest aged people to drink a cup of cacao every day in order to avoid arterial sclerosis. Tomatoes. This natural product contains lycopene, a special phytochemical substance and a powerful antioxidant that assists in boosting the abilities of our body to fight with free radicals and reducing the risk of developing clogged arteries. 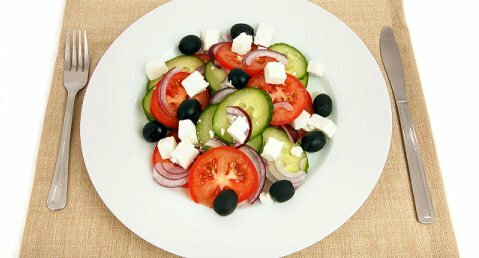 Tomatoes are also high in melatonin, which helps to avoid various negative processes in our brain connected with cell aging and keep our mind sharp and clear. Finally, such elements as flavonoids help keeping our blood vessels in a good condition and prevent developing heart problems and heart disease. 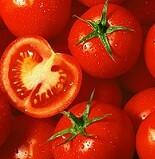 Remember that in order to get maximum positive effects, it is better to eat cooked tomatoes. Broccoli. Broccoli is one of the most valuable green vegetables, which has to be considered a true superfood for its high content of nutrients, useful natural elements and various vitamins. This product was found to have a lot of Vitamins B and K which are necessary for effective brainwork. According to the studies of the British specialists from King’s CollegeLondon, broccoli boosts our memory, attention and abilities to concentrate, as well as helps us to keep off neurodegenerative diseases, including Alzheimer’s disease. Olive Oil. This natural product contains monosaturated oleic acid necessary for proper and flexible function of our brain. Fatty acids containing in brain cell membranes provide such structural flexibility for brain activity, and also protect our brain from possible age-related malfunctions and diseases. It was noticed that Italian senior people, who have a lot of olive oil and olive products in their daily diet, are less likely to display cognitive decline than the people, who consume less olive oil and less products containing monosaturated fatty acids. 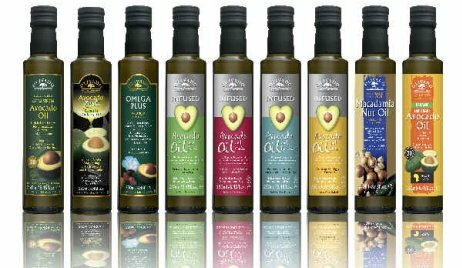 Besides, the ingredients of natural olive oil help to lower blood pressure, decrease bad cholesterol level in our blood, as well as keep our hair, nails and skin in a very good condition. Sage. Herbal teas with sage are recommended to those who need to improve their memory. Recent researches carried out in the MedicinalPlant Research Center at Newcastle and Northumbria confirmed that sage oils have properties to inhibit the activity of certain amino acids responsible for memory loss. Sage is also known for its antioxidant and anti-inflammatory properties. It is an effective herbal treatment which can improve the function of our nervous system, quicken our senses and enhance short-term memory. 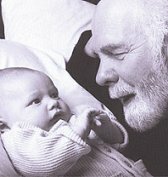 Holistic medicine has recently paved a way into today’s health fields. Many people are now combining both eastern and western medicines in every day practices. Those that are interested in doing this, may consider a Concordia online masters degrees.